Originally hailed as a saviour, the mighty cane toad was introduced into the Australian ecosystem in the ’30s to destroy pests. It didn’t, instead breeding in plague-like proportions, poisoning pets or – in some cases – getting them addicted to its LSD-like secretions. Mark Lewis’ fascinating-if-niche documentary intersperses great 3D shots of these glistening, gobbling Jabbas with testimonies from boffins and crackpots. 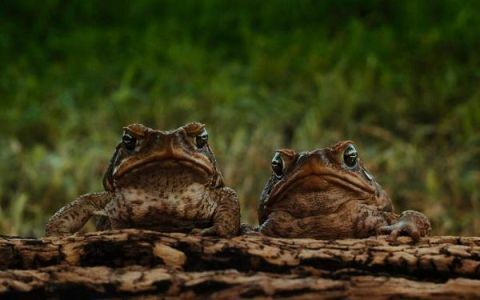 “People say I’m crazy,” says the curator of Kev’s Travelling Toad Show (they’re right), but there’s a serious point here: don’t mess with Mother Nature.